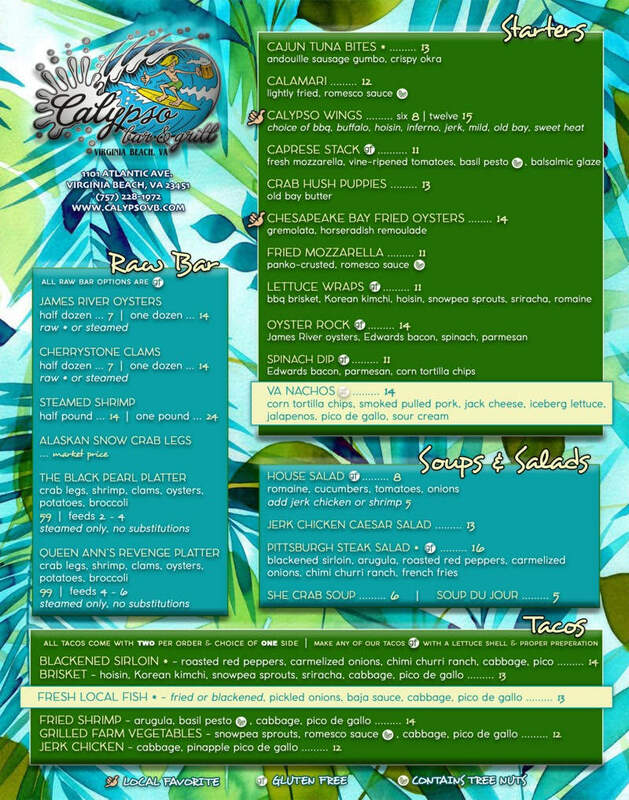 Locally owned and operated, Calypso Bar and Grill prides itself in offering great food at a great price with immaculate service. 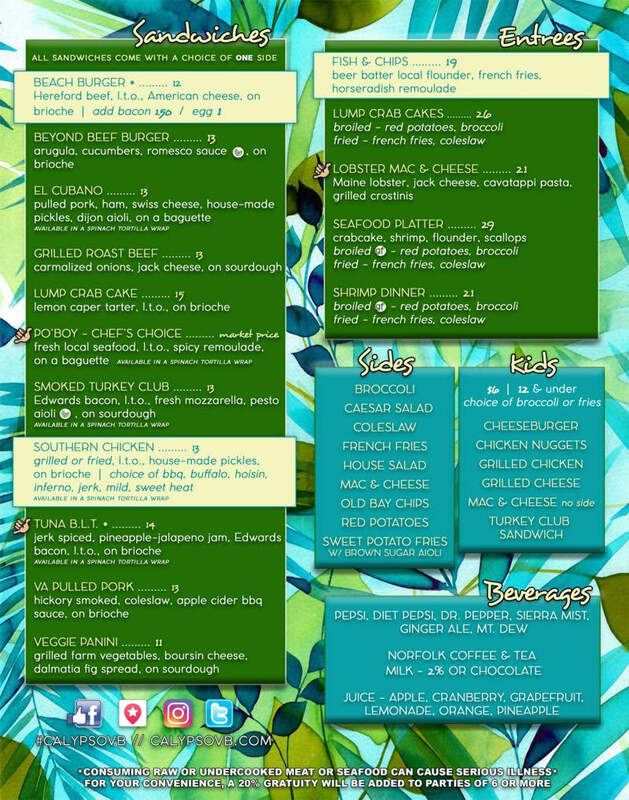 Calypso is rapidly becoming the choice destination in Virginia Beach for locals and tourists alike. Conveniently located oceanfront on the pool deck of the Surfbreak Oceanfront, we proudly serve only the freshest local seafood, produce and meats for breakfast, lunch and dinner till 1:30 am seven days a week. We offer the very best Happy Hour specials daily from 2- 7pm with local favorites such as clams, oysters and of course our almost famous wings. We also boast the largest covered patio at the beach where you can enjoy the smooth sounds of some of the best musical talents Virginia has to offer. Calypso is open Mon-Thurs 11am-2am and Fri-Sun 9am-2am.